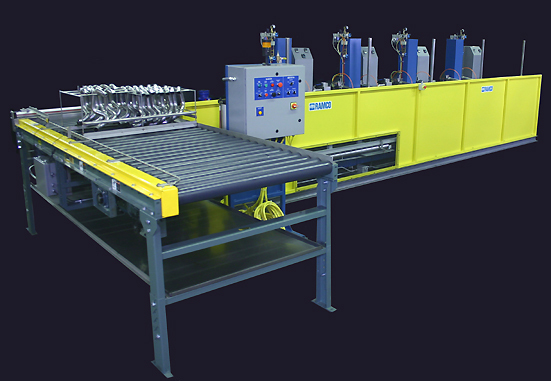 This Tube Washing System is designed for washing, double rinsing and drying complex automotive tubing in large quantities. The tubes are batched in racked lots of 50 per load. 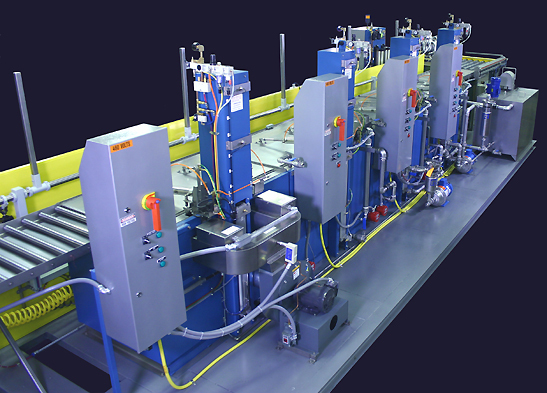 Up to four racks are loaded onto a power conveyor that advances and selectively feeds each load into the system. The operator simply presses a start button on the remote control panel and the system takes over from there. The transfer system employed uses multiple arms to allow for simultaneous indexing of baskets. The photo below is shows the front of the machine with racked tubes, power feed conveyor, and remote operators control pedestal. The machine is built using modular RAMTOUGH construction with Nema 12 panels provided at each stage for ease of diagnostics and maintenance. Nothing is placed underneath processing tanks or tucked behind “access” panels. All valves, pumps, filters, cylinders and heaters are located where they are accessible, clearly visible for inspection and easily serviced. 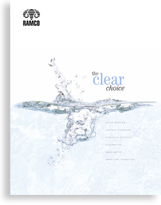 RAMCO systems are designed for continuous production in industrial applications. 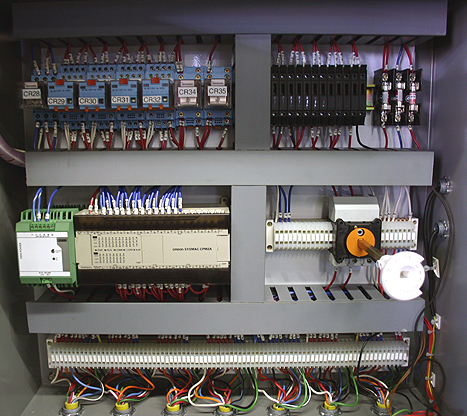 At the request of the customer the automation of this system was controlled with an OMRON PLC. The inside of the operators control panel is shown above.